Hey guys! Fashion Week is over for me this year as I'm back to work, but it's finally a time to share with you what I was wearing during those couple of days! I actually jumped into a very summery mood and picked creamy, pastel colours even though it was sooo freezing outside (as always during the LFW in Feb). Huge thanks for Cristiana Malcica for taking these lovely pictures in the Somerset House this weekend! Hope you guys like my look & I would be more than happy to hear your opinion about it! 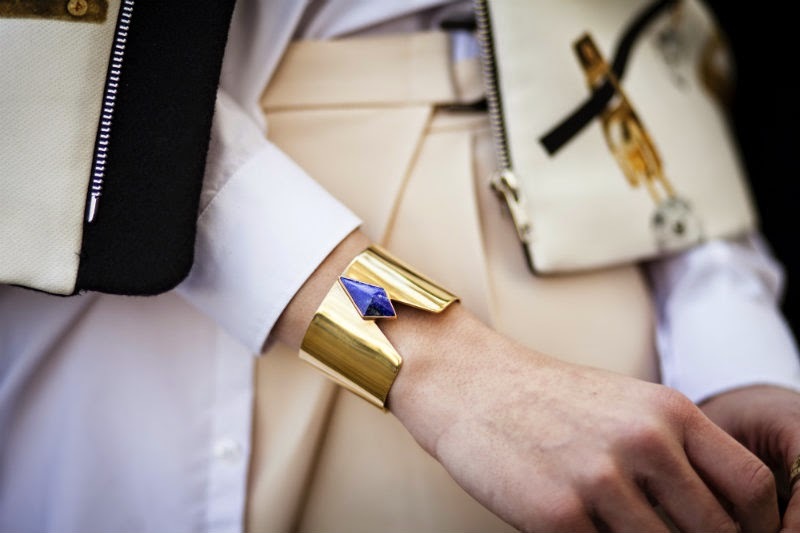 In love with your accessories!